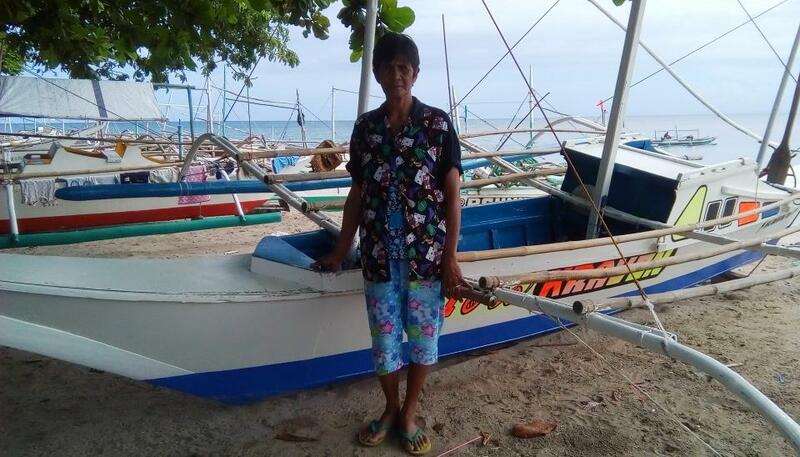 A loan of $625 helped to buy a fishing net, a boat engine, bamboo, plastic screens, and paint. Edna and her husband engage in a fishing business to earn a living. They have been doing this for many years in order to support their children. They have 12 children who are now adults. Somehow, Edna and husband have worked hard to make their business more sustainable. She is requesting a loan in order to buy a fishing net and a boat engine. Part of the loan will also be used to buy bamboo and plastic screens for their fish trap. Finally, she will buy paint for her boat. Edna’s goal in life is to improve her livelihood and make a better living.